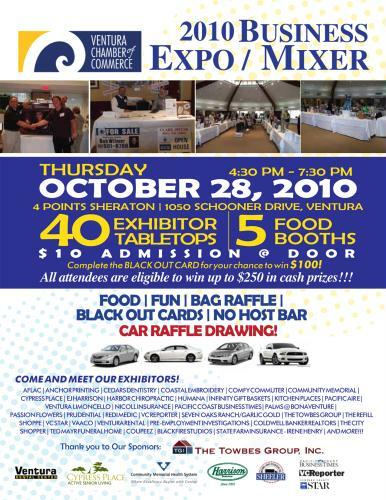 Food, Fun, Networking, Door Prizes and more at our Expo, Mixer and Car Raffle event. Being held at the Four Points Sheraton, Ventura Harbor, this event should not be missed! $10 Admission at the door. $250 Cash Drawing for all attendees! Surprise $100 drawings throughout the evening for purchasers of car raffle tickets!